If you were wondering if Robert Kraft would receive a warm welcome after he made his first big public appearance, that question was answered yesterday. Appearing at the Celtics home game yesterday Kraft received a roaring standing ovation, equal to the one Larry Bird received from the crowd when he was shown on the jumbotron. 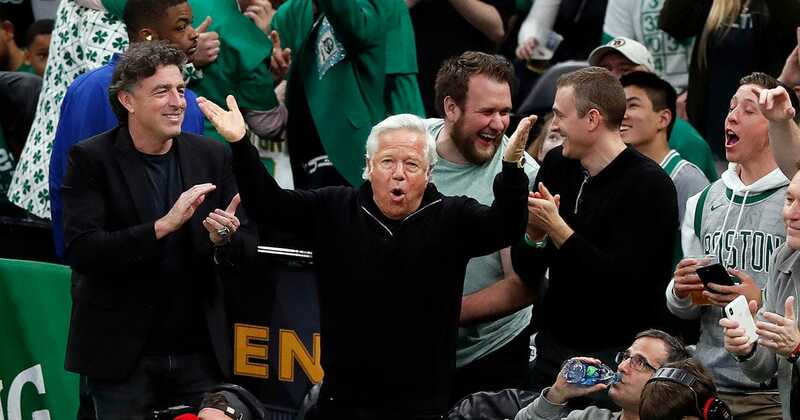 Kraft was sitting with Celtics owner Wyc Grousbeck and pumped his fist to show his appreciation. It is obvious that New Englander’s clearly will give Kraft a hall pass and will not soon forget all the good deeds he has done in the community as well as saving the Patriots from relocating to St. Louis and building the greatest dynasty the NFL has ever seen.